Co-workers Lori Freit-Hammes and Sue Karpinski haven't always been rowing enthusiasts. But since taking up dragon boat racing, the two haven't looked back. Both will participate in the sport's world championships in September. Lori Freit-Hammes didn't know a dragon boat from a dragon fly when she was tapped to help launch the Big Blue Dragon Boat Festival in La Crosse, Wisconsin. "I had to watch a YouTube video," Freit-Hammes, health promotion director at Mayo Clinic Health System — Franciscan Healthcare, recently told the La Crosse Tribune. It turned out to be love at first seat. "The first time I sat in that boat, I knew I had found something I could do for the rest of my life," she tells the publication. And something she could do well. So well, in fact, that she's now a member of Dragon Boat Team USA. 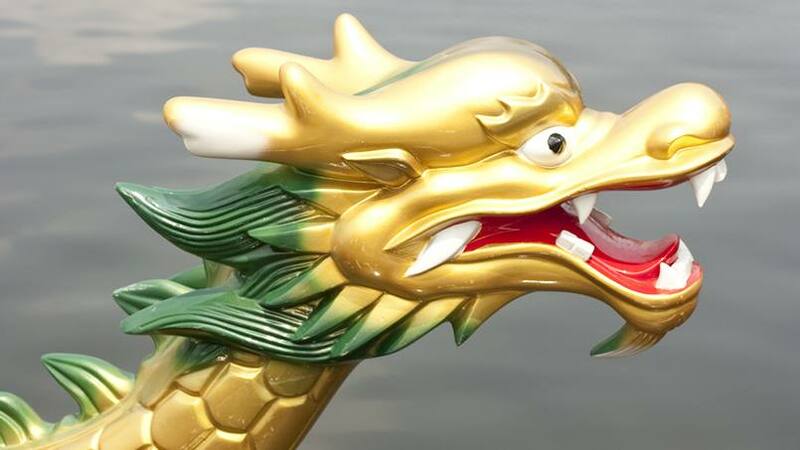 In September, Freit-Hammes will head to the International Dragon Boat Federation World Championships in China. Her colleague, Sue Karpinski, will join her at the competition. Karpinski, a health promotion coordinator, was introduced to the sport by Freit-Hammes. "I was put in the back of the boat," Karpinski tells the Tribune. "I didn't even know how to hold the paddle." She soon learned. And like Freit-Hammes, Karpinski fell hard for the 2,500-year-old sport, which "features colorful, canoe-like boats that are 40 to 50 feet long, decorated like dragons, and powered by 18 paddlers," according to the Tribune. The team's rhythm is determined by a drummer who sits in the bow of the boat. As the Tribune reports, Karpinski and Freit-Hammes have put in "hundreds — perhaps thousands — of hours" at training camps, paddling practice and races. Including the Big Blue Dragon Boat Festival in La Crosse, hosted by Mayo Clinic Health System — Franciscan Healthcare. That event "promotes fitness and teamwork, while raising funds to enhance breast cancer diagnosis and treatment," according to MayoClinicHealthSystem.org. The La Crosse festival "has raised $260,000 for breast cancer research and services, including a 3D tattooing machine and traveling mammogram van," according to the La Crosse Tribune. The sport gained a connection to breast cancer some 20 years ago, when a Canadian doctor challenged the conventional wisdom that advised against exercise for breast cancer patients. "He believed the teamwork could provide emotional support while the upper body exercise would help prevent lymphedema," according to MayoClinicHealthSystem.org. Subsequent research has found that the good doctor was on to something, and there are now around 150 teams of breast cancer survivors who race dragon boats throughout the world. Karpinski and Freit-Hammes credit their families with supporting their devotion to dragon boat racing. They hope that devotion will be rewarded with big wins in China. And with a different kind of win on the home front. "One of the reasons the journey to making Team USA has been so important to me is because I want my children to know what it takes to work tirelessly to achieve a goal," Freit-Hammes tells the Tribune. "It's important to me to be a great role model for them and let them know that no matter what your age, it's never too late." Row, row, row your boat on over to leave a comment below. Then, use the social media tools atop this page to share this story with others.